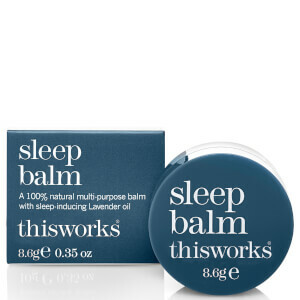 Combat insomnia and wind down with this Deep Sleep Pillow Spray by this works. Formulated with super relaxing natural oils of Camomile, Lavender and sweet smelling Vetiver, this spray creates the ultimate tranquil atmosphere so you can enjoy a fully rested night's sleep. K.D. Free from phthalates, sulfates, synthetic colors and fragrance, parabens, GMOs, mineral oils, petrolatum, propylene glycol. I've used pillow sprays before, but none as effective as this one. I'm not so much a restless sleeper, but I often struggle falling asleep. I have noticed a difference in the time it takes me to fall asleep since using this. This spray didn’t help much. For the price I expected more. A couple of sprays of this on my pillow worked wonders. A genuinely soothing way to end the day, not sure how I would sleep without it now! I really love this product, it smells amazing and before I know it I am asleep. It has really halped me to sleep through better. Go get it, you will love it! 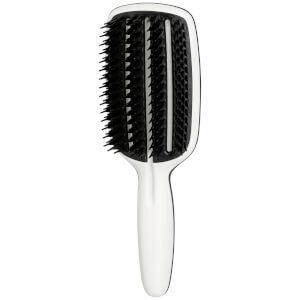 I am not a great sleeper and this product has helped be calm and relaxed state before going to sleep! Smells great and I will definitely purchase again! I hate taking tablets and never wanted to resort to sleeping tablets to help my troubled sleeping so I was so happy to use this product and find out it actually works! it had been recommended to me by a friend and I am so glad I started using it. A quick spritz before bed and it calms my mind and I drift right off to sleep. Couldn't recommend enough! I received a sample of "This works Deep Sleep Pillow Spray" in my monthly birchbox. It really does work & the scent is delicious! I'm rushing to order the full size before my sample is empty. Trust me, you will love it! I have this one for a while, but I didnt have sleeping problem. Until last night, I got running nose and couldn't sleep. Then, I just used this one and sprayed it on sleep pillow. About 1 min, it worked! This is really magic!